I have been blown away by how many of my crafty friends that have never made shrinky dinks. For goodness sakes what kind of childhood did these people have?!! Are you one of them? Well if so shrinky dinks are super awesome sheets of special plastic that you draw on, cut out, and then bake in the oven (yes in the oven) and then they shrink before your eyes. Magic you say, I think so. What was a thin flimsy vellum like sheet gets transformed into hard plastic. It’s pretty cool. So fun to do with kids but that’s a whole other post altogether. To make your own pendant first find (or make) an image you like. It will shrink to about 1/3 of the original size. 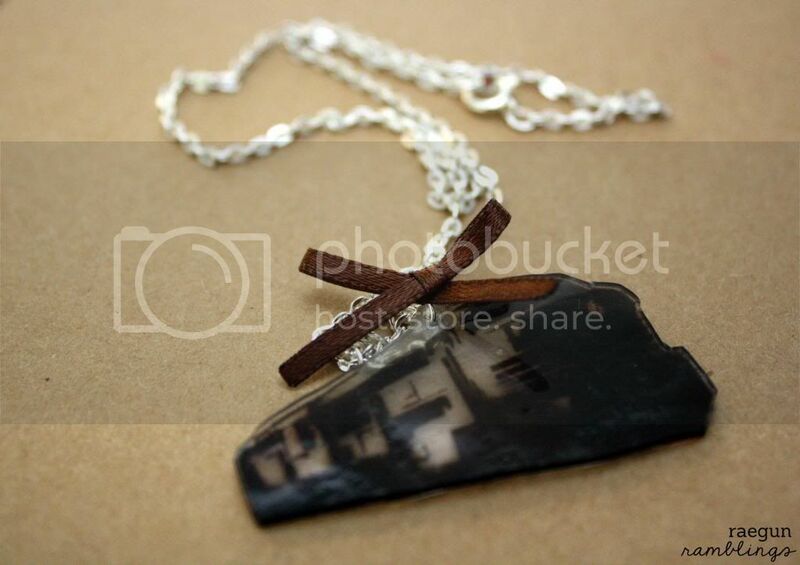 If you want to make your own Dauntless train necklace, you can find the image I used here. They do make shrinky dink paper that you can print on but I used the regular stuff and it printed fine (not perfect mind you but good enough for my liking). 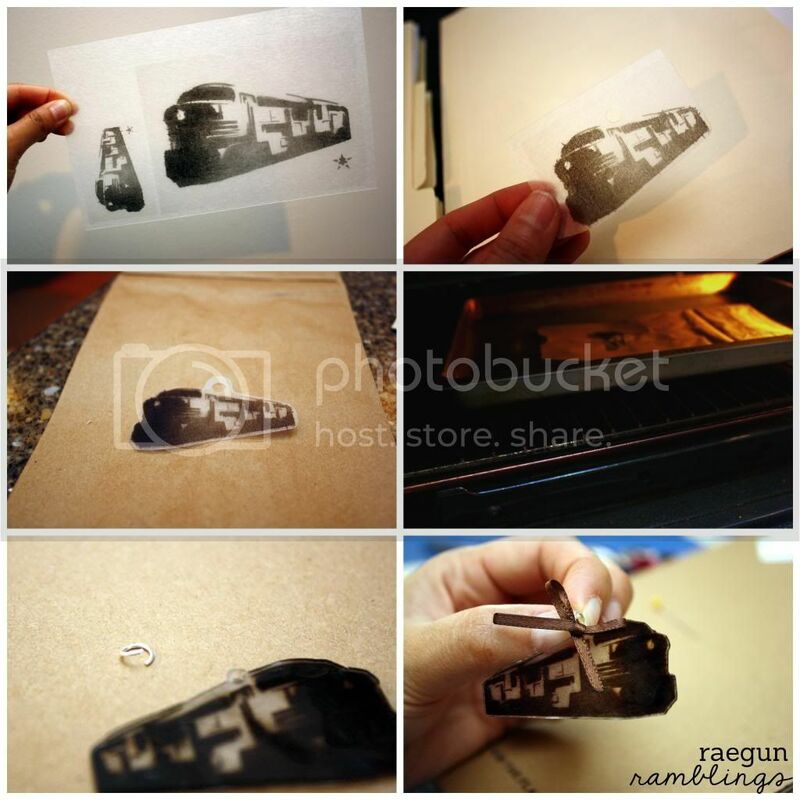 Draw or print onto the rough side of the shrinky dink paper. 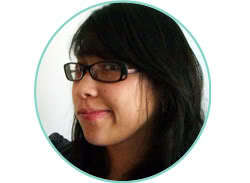 Partially trim around your image leaving a large margin around the area where you want the pendant to hang from. Punch a hole then trim leaving a generous margin around the hole. Bake in the oven on a cookie sheet lined with a brown paper bag at 325 F for about 3 minutes (I had to bake it a bit longer I could tell it was still shrinking). It will go all crazy on you and sometimes it looks like it’s going to fold onto itself but then somehow it uncurls and goes back to normal. Let cool for 30 secons and use a clean spatula to remove. If you want you can press your creation with a potholder or the spatula if it needs to be flattened. After it’s completely cool paint a bit of mod podge to the back to seal the ink. Add a jump ring, chain, and any other accessories (like ribbon) and you’re done. And if you’re curious about this Divergent book I keep on raving about here’s the description from goodreads. Seriously it’s one of my favorite books. If you liked The Hunger Games you definitely should check Divergent out. I LOVED shrinky dinks when I was a kid. We had the kind that you coloured in first. I also LOVE Divergent so this was an all-around happy post for me today. I love the Divergent series! I can’t wait for the next book! I know I can’t wait to see how she concludes it! Yep, I’m one of them… never tried shrinky dinks… Sad day. But thanks so much for introducing me to the Divergent series! I’ve been sharing them with everyone I know. oh friend it is a sad day. The horror! We are just going to have to fix that! ANYWAYS, they look fun. I should totally give them a try. 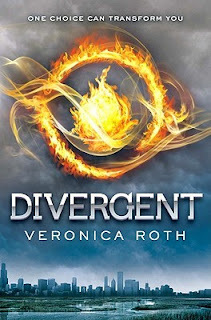 ps–My sister in law is reading the Divergent series and loves it to. Shrinky dinks are one of my alltime favorite crafty projects!!! I’ve never thought to print on them. I feel some serious craftiness coming on! Finished Divergent a few weeks ago, can’t wait to start the next one! Very neat! I know I have a few sheets of Shrinky Dinks around here somewhere, I might just give it a go! Ok. That’s pretty awesome! I’ve just started using shrinky dinks with one of my sons. We’re still trying to figure out how to get them shrunk without curling into a permanent ball! Thanks for the tutorial. I loved shrinky dinks as a kid!! They are indeed just a little bit of magic! I’ve purchased my paper and am ready to give it a try. I think I’ll draw on mine and see what happens. Your tutorial gives me confidence! And my daughter loved Divergent. I will have to give it a try, too! Have a great day! 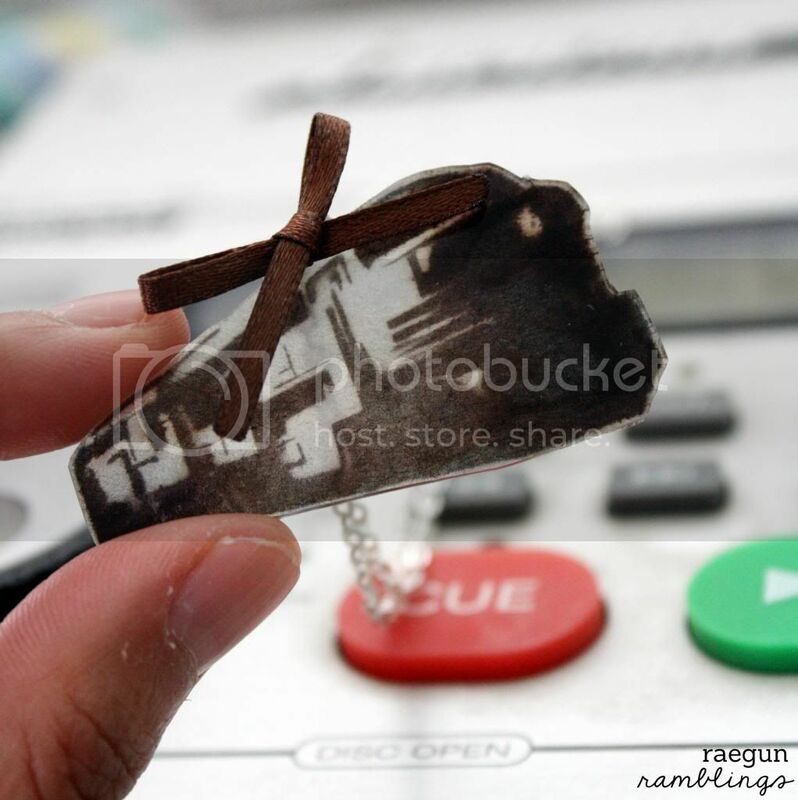 Oh how I love shrinky dinks… and Divergent. Soooo COOL Marissa!!! I still haven’t read those books yet… sigh.. I have to do that!! I just saw your post, I have used shrinky dinks for years, but I have not heard about Divergent. I will have to check it out. I was intrigued by your name. Mine is Merica, pronounced like Teresa. So how do you pronounce yours? I have never made shrinky dinks in my life. I keep seeing them pop up on Pinterest and they look intriguing. Perhaps I will have to look into them. I made shrinky dinks with my nephew over Christmas..but it was a store bought set! Regular stuff? Keep in mind that your primary audience is people who aren’t familiar with shrinky dinks. There is regular shrinky dink paper/film i.e. 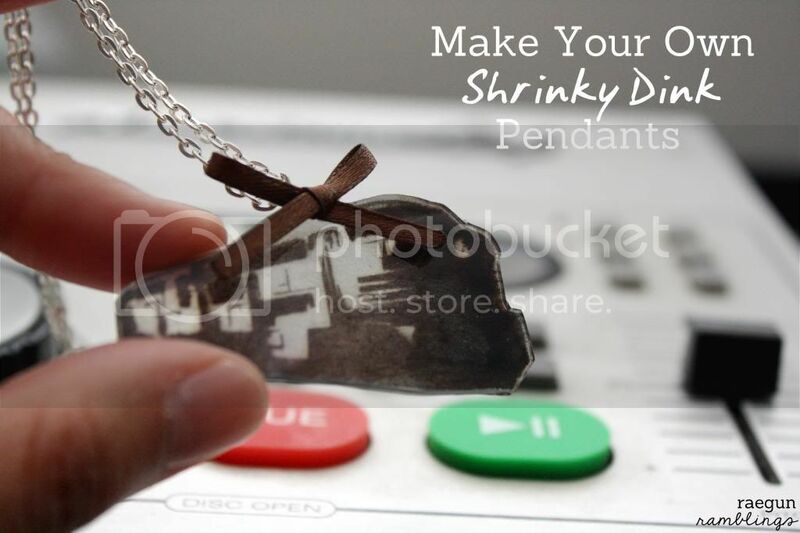 it’s just called shrinky dink and there is also shrinky dink paper/film that is designed to be run through a printer. 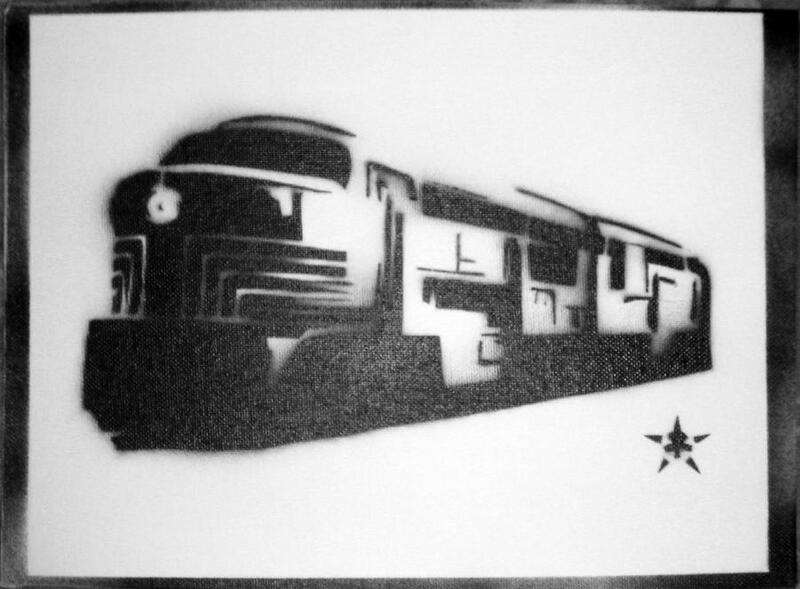 I used the regular kind and ran it through a printer and it worked. I did not buy the printer specific kind but I was still able to print on it. Great image and tutorial! Thanks for sharing! I also loved Shrinky Dinks as a kid. We Grandma always got the kind that was pre-printed that you colored in.